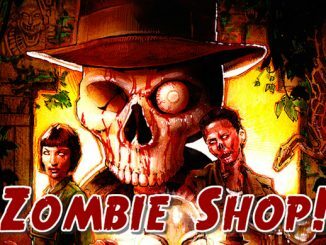 Last week’s giveaway featured zombie prizes from Neatoshop.com. This week, in the Neatoshop Back To School Giveaway, you can win back to school products. 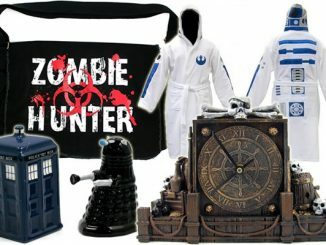 They have hundreds of items in this category, such as lunchboxes, backpacks, thermoses, Mimobots, office supplies, and much more in themes including Star Wars, Star Trek, Hello Kitty, Domo, zombies, and superheroes. You can pick your own prize in this giveaway! So to start things off, visit the Neatoshop Back To School Store and pick the items you want if you win. You can select 1 or 2 items, they must be in-stock, and their combined price must be $40 or less. Add a comment to this page that lists the item(s) you want if you win, and then use the Rafflecopter Giveaway form below to earn/activate your entries. You can earn up to 8 entries, and this sweepstakes is open to everyone 18 years of age or older world-wide. You must enter by August 7, 2012 12:01 AM EST. Best of all, there will be 2 lucky winners selected in this giveaway! I would love to win tack-A-Doodle – Stackable Block Crayons ($7.45) and Borrow My Pen($6.45). Because it doesn’t have to be the most expensive item(s) to send me back to school in style! I would love to win a Woodstock Iphone 4 case for my little brother! His last case broke and has been risking the life of his phone ever since! Thank you so much for offering this giveaway!! I would love to win the Hello Kitty – Double Wall Travel Tumbler ($11.95) and the 8-Bit Hair Bow($9.95) so my daughter can go back to school in style. Monkey reusable tote bag, and the peeramid book rest. Something to tote my books and something to make reading them easier. I would enjoy a Cthulhu Water Bottle($11.95) with every sip I would feel alittle more of my sanity slip from me and then when I have completely lost my mind I could use the Straight Edge – Laser-Guided Scissors ($11.95)and go around crazily cutting everything! Just to make sure that everything is even, including my friends hair. Muahahahaha! I’d like to get my daughter the Annoying Orange – Talking Fresh Squeezed Clip Ons because she is a huge Annoying Orange fan. 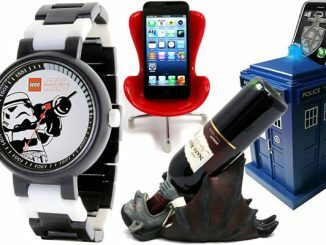 I would definitely get one of the water bottles or tumblers (13.95) and the Doctor Who sticky notes (5.95). The Hello Kitty would be perfect for my niece. 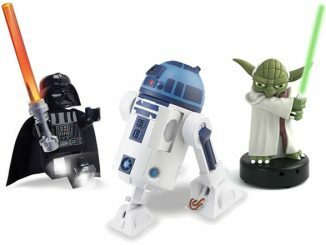 I could really use a Boba Fett – Star Wars Mimobot (2GB). I am sorely deficient in flash drives. I could also use the Sasquatch Seltzer Water Bottle. I have been wanting an aluminum water bottle for some time. I’d go with the “Buzz Alarm Clock – LEGO Toy Story 3” and the “12-in-1 Multi-Function EvriScissors” if I win. I’d like the Garden Party – Large Laptop Sleeve. So many cute and unique items. Hi! This contest is awesome, thank you so much for the opportunity!! I would love to win the Catwoman Mimobot 2GB – http://www.neatoshop.com/product/Catwoman-Mimobot-2GB. And also the Doctor Who Adipose Floating Pen – http://www.neatoshop.com/product/Adipose-Floating-Pen! Grand total: $35.90! Lanyard with Kermit Head and the Think Green – Kermit Tote Bag. I have a thing for frogs. 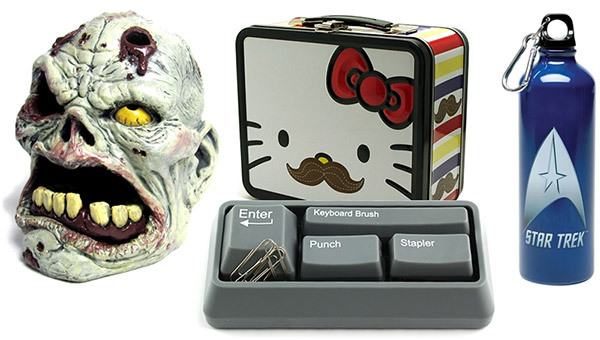 I would be so happy with the Mini Biohazard Tape and the Keyboard Keys – Stationery Set. But I still have my eyes on the Soft Kitty – Plush Backpack Clip just in case I need to make a substitute. Oh wow, so many fun items!! 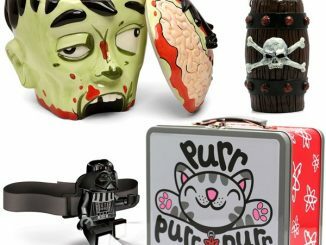 But having to pick from what they have, I’d take the Siamese Cat Stapler,($13.95) because it’s just cute, and the Hello Kitty Teddy Bear Mimobot ($22.95). Because my Full Metal Alchemist messenger bag and random anime and nyan cat shirts don’t proclaim the fact that I’m a geek loud enough. 🙂 Total of $36.90. Since NeatoShop is continually replenishing their stock of cool merchandise, we will make sure to check with the winners at the end of the contest to see if their choice(s) is still the same. 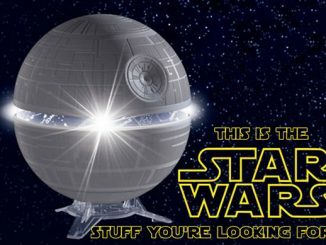 I would like a A Long Time Ago in a Galaxy Far, Far Away – Star Wars Tin Lunch Box ($9.45) & Anatomical Chart Paperweight [Brain] ($16.95). I’d love to win the Hello Kitty Backpack with Ears – White with Red Bow. I’m just starting college so I’d love this adorable bag to walk in with! I want the Muppets Tritan water bottle and the pet computer pig mouse. Pick me! http://www.neatoshop.com/product/The-Lost-Girl-Penguin-Books-Water-Bottle And, the On The Road matching one! 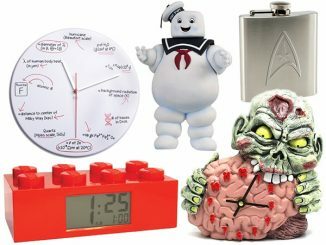 Ohhh I’d like the Anatomical Chart Paperweight (in Brain)and the Electro Man Surge Protector! My girls would LOVE the crustache crust cutter and elephant paper clip holder! Heck…I would LOVE THEM!!! I like the Owl – iPad Cover and the Owl Accessory Holder! Thanks for the chance to win! Anything Domo in stock, figurine sear, mini backpack, superhero Domi, magnet Domo, domo beanie hat! I think it’d be great to win the Megatron – Transformers Mimobot (2GB). 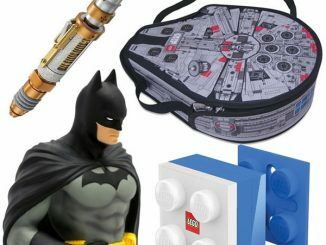 The Batman Dual Lunchkit with Cape (12.95$) and the Pikachu – Plush Backpack (20.95$) would be perfect! 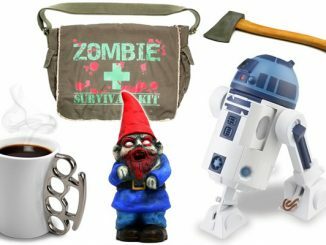 Love the crockodile staple remover and the The Empire Strikes Back – Star Wars Tin Tote! Would love to have the Hello Kitty Backpack with Ears – Nerd with Bow. Carmen the cat picnic lunchbox and hulk key ring coin bag are the items i would like to win. I would love to have the Adipose Floating Pen and the Evolution of Gamers t-shirt large in black. I like the Hello Kitty House – Insulated Lunch Kit & the Hello Kitty Hydro Canteen! 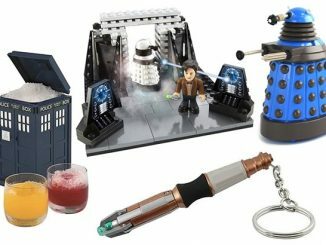 Sally Notepad Holder and TARDIS Emergency Fund Keychain would be what I would pick. Thx! My son and I love looking at everything on your site! We would LOVE to win this!! I would love to win the Zombie Pencil Hoder. It is awsome! ‘Cause I love it when you talk nerdy to me! I would love the Pac-Man Bank (with Sound)(24.95) and Keyboard Keys – Stationery Set (12.95). 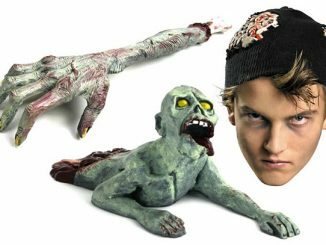 I would LOVE the Zombie Pencil Holder! I would love to win the Chewbacca Star Wars Backpack Buddy to look supper cool rolling around campus on a longboard with chewy on my back. 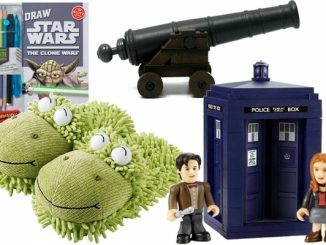 I would love to get the Doctor Who sticky notes and the Hello Kitty lunch box. Got my stuff :] Thanks for everything! !